The unprecedented growth of the eCommerce industry has increased the pressure margins for effective online store management. ATLANTA - Jan. 22, 2019 - PRLog -- The unprecedented growth of the eCommerce industry has increased the pressure margins for effective online store management. Looking at the retailer's need to meet customer demands and scale better, The Commerce Shop has launched its first Magento marketplace (https://store.thecommerceshop.com/). The marketplace features both Magento 1 and Magento 2 extensions. 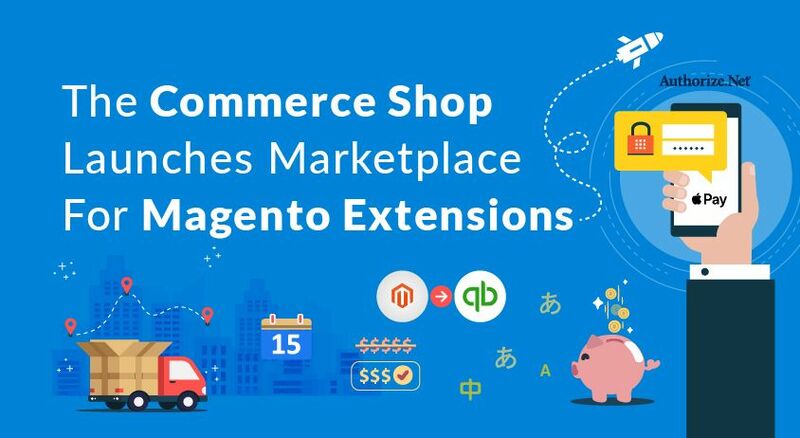 While Magento fulfills the requirement and streamlines the entire eCommerce process, the extensions will provide additional functionality and features for store owners. Retailers can integrate these extensions to customize and fully optimize their store to reap the profit. The Commerce Shop is a leading eCommerce agency, based out of Atlanta and Los Angeles. They offer retailers end-to-end eCommerce solution that focusses on customer engagement and conversions. They specialize in the top eCommerce platform development like Magento, BigCommerce, and Shopify and offer eCommerce personalization tools to improve CRO. They have the expertise to build custom carts and shops that yield the desired ROI.